The Math Factor Podcast » GD. 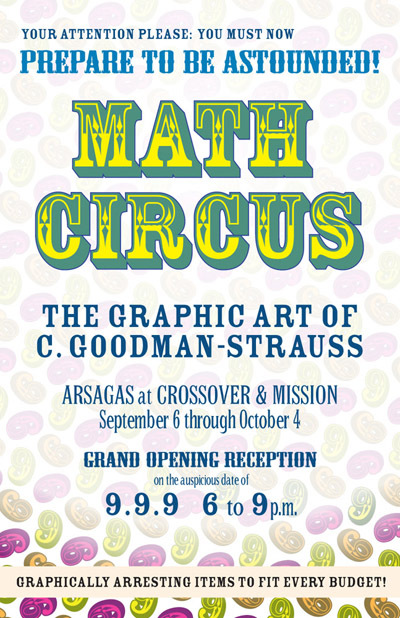 The Math Circus is Coming To Town! We finally get back in the studio with a new puzzle after a long and sleepy summer… meanwhile, here comes The Math Circus! I found the quiz statement just a little bit confusing. Is this an equivalent version, and if not, how not? You are given the number 1. You are then offered the numbers 2..N, one at a time. You don’t know the value of N until the end. For each new number 2..N you can replace the number you hold (initially 1) with the new number, or you can keep the old number. The problem is to make the hold/discard choices such that each number 1..N has a 1/N chance of being held at the end. Yeah, it is simple. It didn’t seem so at first, though.